End of year Tips for Buyers & Sellers! This has been a wonderful challenge for me and I hope you enjoyed it too. Tune in to find out what I mean. Have you been thinking about Selling Your Home but not over the Holidays? Well, keep in mind people buy homes for Christmas just like folks buy cars at the dealership at Midnight! 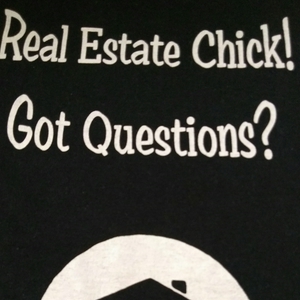 So don't miss out...Talk to a Real Estate Professional! As exciting as it is to do what we do as real estate professionals, there is also a dark, dangerous side that statistics show is on the Rise. Tune in to find out what I mean. Short Sales can be frustrating and scary. Tune in to find out what I mean. Well I had to Fire my Seller. Tune in to hear what I am talking about. Atlantic City Gateway & Technology going into the 21st! South Jersey Gas is joining Stockton's campus. Check out the details and a few other things. This is Part 2 to last week's episode.. Take a quick listen to find out what happened. You're Under Contract....Will you make it to the Closing Table? Getting to the Closing Table can be harder than getting the Listing. Tune in to hear what I mean. What's happening in Atlantic County? Tune in to find out who building what & where. Are the Home Inspections in Your State regulated? I thought all States are regulated for home inspections. Tune in to find out which States are not! The market is Shifting however this still matters. Tune in to find out what I mean. I have been feeling burned, frustrated and ready to throw in the towel. Listen in on find out what I am going to do about it. Should I Fire my Client? It's a decision you may have to make. Listen in to hear what I mean. Should you take that Listing? Well should ya? Tune in to find out what I mean. Ahhh... there's the Rub! Tune in to find out what I'm talking about. What are you focusing on? No way to buy your home or finally get to the closing table and can't figure out why? Tune in to find out what I am talking about. I'm taking a turn on today's episode. Tune in to find out what I am talking about. If your tax bill is going up or you live in Atlantic City, you definitely want to tune in. Is Your Home an Asset or a Liability? Robert Kiyosaki made this statement some years ago and it was not received well in the financial community. As a newer Home owner myself I am asking this question now. Tune in to find out more. Curious! Can your Home pay for Itself? With property taxes creeping up on the average Home owner, should Home owners consider having their Home start paying for Itself? Tune in to find out what I mean. As the Seller you can do it the ez way or the hard way. Tune in to find out what I mean. That's the magic number. Tune in to find out what I mean. Life always has lessons...tune in to find out what my lesson was. It's ok to be Selfish! Selfish gets a bad rap. Tune in to find out what I am talking about. Debt-to-Income Ratio that is. What's Yours? What can we as Americans do to change the way we look at each other, the way we treat each other. It's time for a Change. Tune in to find out what I am talking about! Do you have BB? Listen in to see! Do you have Seller's Blues? Tune in to find out. Attending the NY Ave school's Career Day yesterday prompted this question. Tune in to find out what I am talking about. Tune in to find out who you need to forgive. What does your health have to do with it? Tune in to find out what I am talking about! Selling your home yourself? Listen to this first. Your home is. Tune in to find out just what I mean. Working with their agent, the Seller can Empower themselves. Listen in to find out how. For Sellers getting Buyers to come through the door gets the home. Curb appeal matters to get them to stop and come In. Get ready for Spring inside and Out. Love Yourself enough to make the changes necessary to live your best Life! Get your mind right in order to get your money right. Listen in to see what I mean. $10k is available to assist in buying your home. If you were on the fence and almost ready & just need some help, let's talk. Where your home is located could be impacted by the City it's in. Should you pay for credit repair? Is it worth it or should you do it Yourself? Do you know what you spent? Do you track your money? Well, now is a good time to start. Tune in to find out why. Even though you are paying cash for your home, don't forget T.U.M. Sometimes changing the way you see a situation makes All the Difference. Stay a step ahead by knowing what you need to get a Yes for your Rental moves.